It’s not until you live somewhere like Wyoming that you truly understand what Mark Twain meant when he said “Whiskey is for drinking, water is for fighting over”. 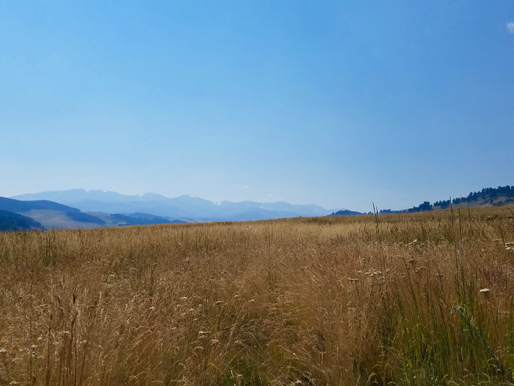 As the Wyoming summer comes to an end, the grassy, green landscape changes to a crisp gold. The color change of vegetation is not due to low air temperatures but instead a lack of water. My summer research is a unique comparison of three ecosystems that receive around the same annual precipitation but at different times of the year. As a result, the type of plants that exist in each ecosystem and their size is remarkably variable. 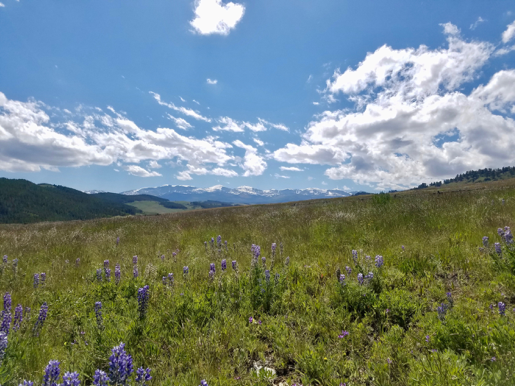 Plant communities in Wyoming are correlated with the form, duration, and intensity of precipitation events throughout the year. Rain that occurs during warmer months evaporates quickly, only wetting the upper layers of soil. In contrast, snow that accumulates during the winter months will melt in the spring when air and soil temperatures are low, the water is then able to infiltration to deeper soil layers. My research site in the sagebrush steppe receives a majority of its annual precipitation in the winter months. The snow melts in the spring when temperatures are low and the water infiltrates to deeper soil depths. As a result, woody species like sagebrush are able to grow here. Sagebrush has evolved a root system that reaches moisture in deeper soil layers. In contrast to the sagebrush steppe is the shortgrass steppe. Although the two ecosystems receive a similar amount of precipitation throughout the year, the plant communities are visually disparate. The shortgrass steppe receives most of its annual precipitation in short, intense spurts during the warmest months of the year. Consequently, water evaporates before it is able to infiltrate the soil and the grasses that exist here have roots very close to the soil surface. For my experiment, I am adding water and monitoring how an increase in this resource will influence root growth. Each site will receive a 40% increase of the mean monthly precipitation during the summer months. I expect to see a significant increase in root growth in plant species that have shallow root systems such as the plants that exist on the shortgrass steppe since the water is added in summer months and will not infiltrate to the deeper soil layers.